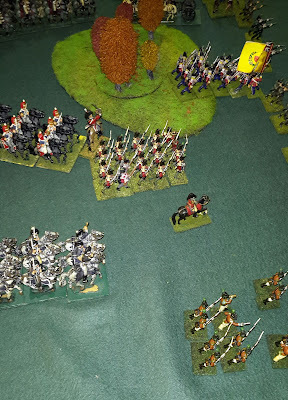 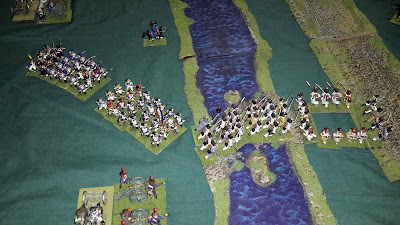 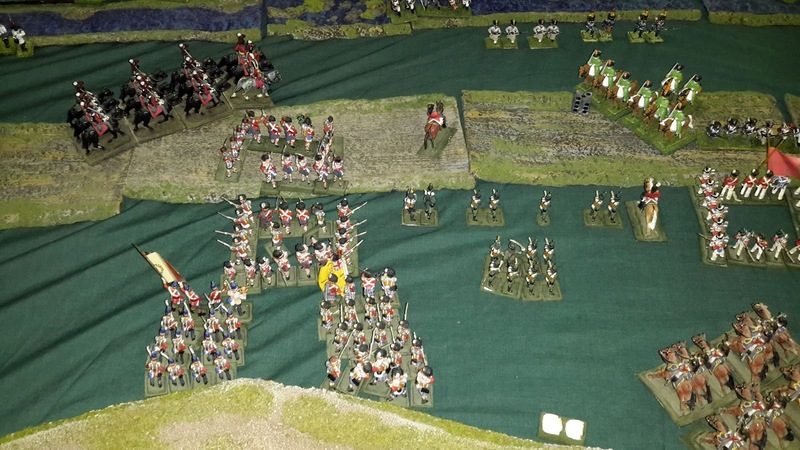 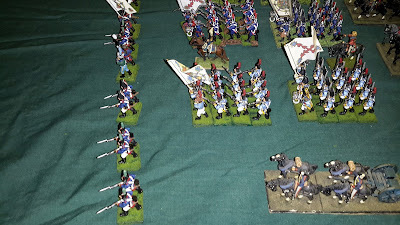 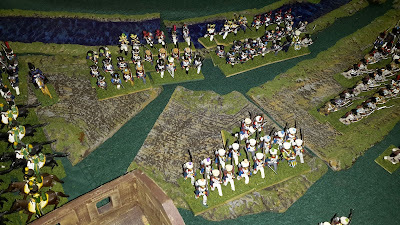 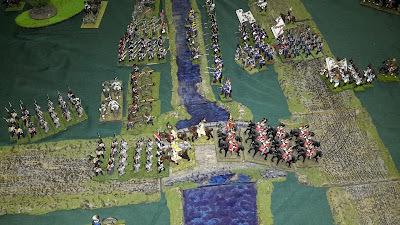 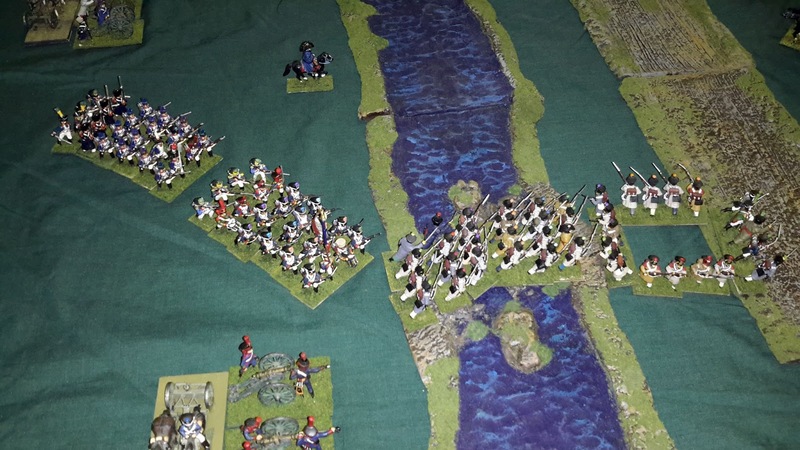 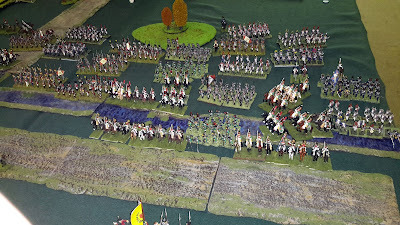 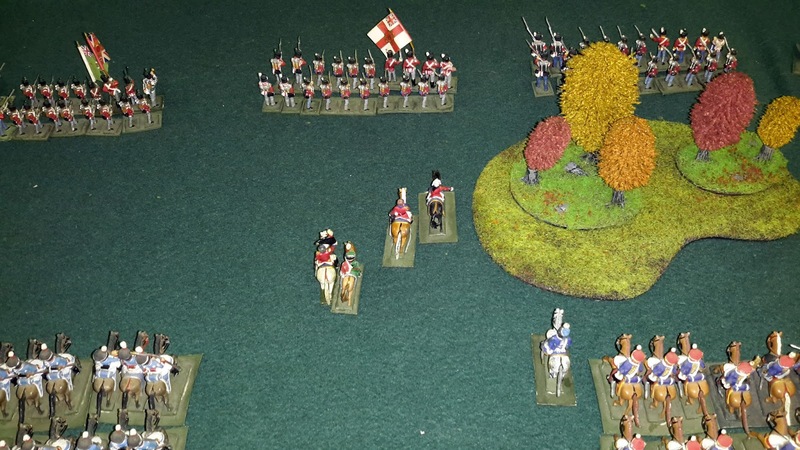 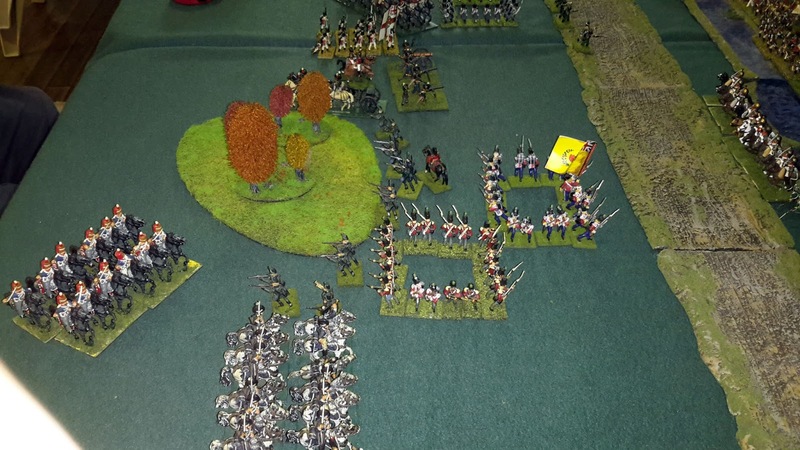 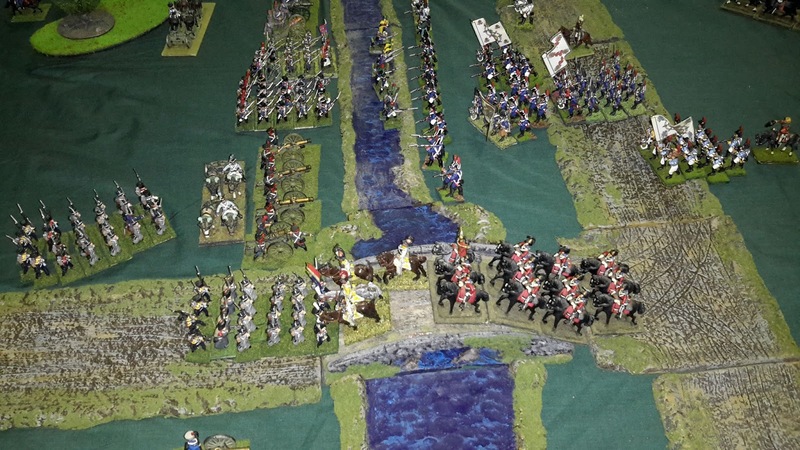 Rob wanted to use his nearly completed II Corps (circa 1812) using WRG rules. 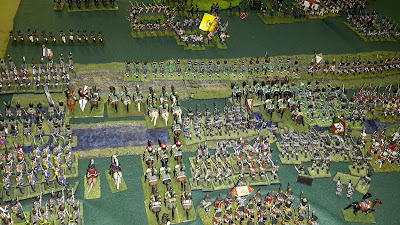 So we used a battlefield map from a old campaign and Don brought his Anglo-Portuguese as well as some of Rob's Anglo-Portuguese and Spanish. 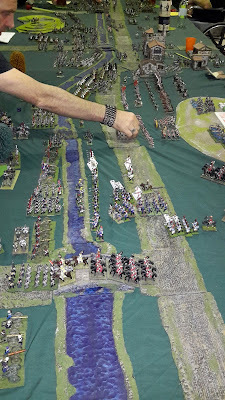 There were 4 players per side with lots of figures. 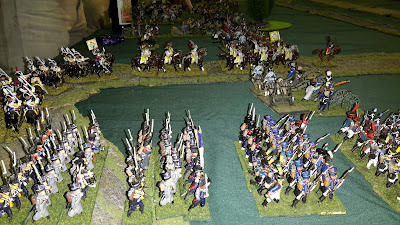 Looking from French right to left. 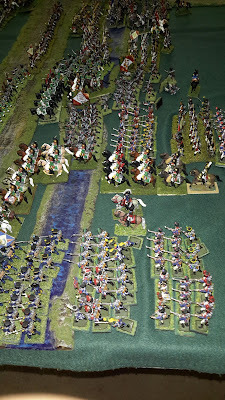 I commanded here with one brigade of infantry, one brigade of Saxon Kuirassiers and two batteries. 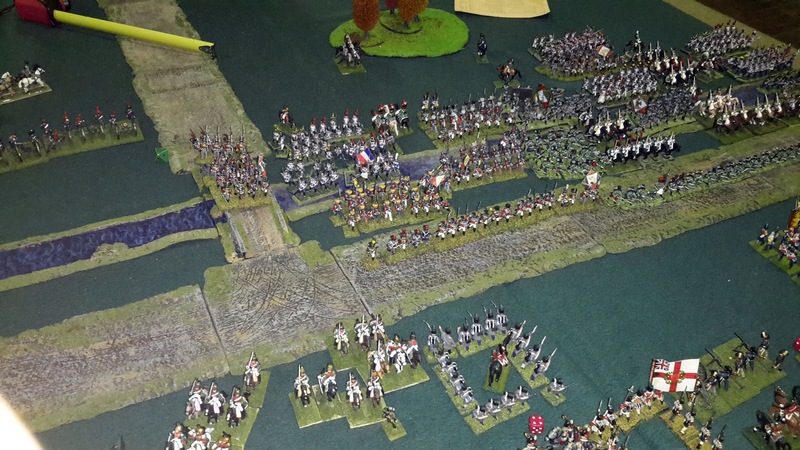 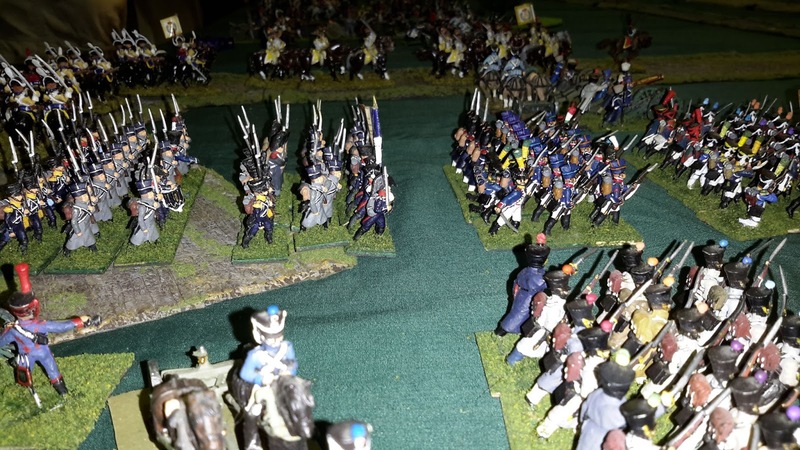 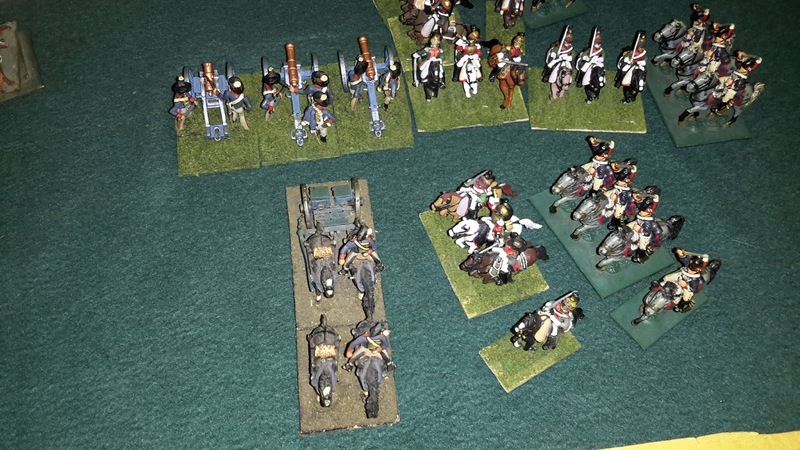 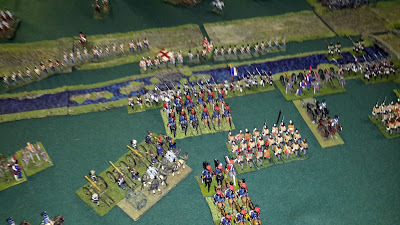 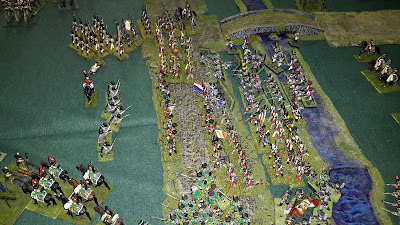 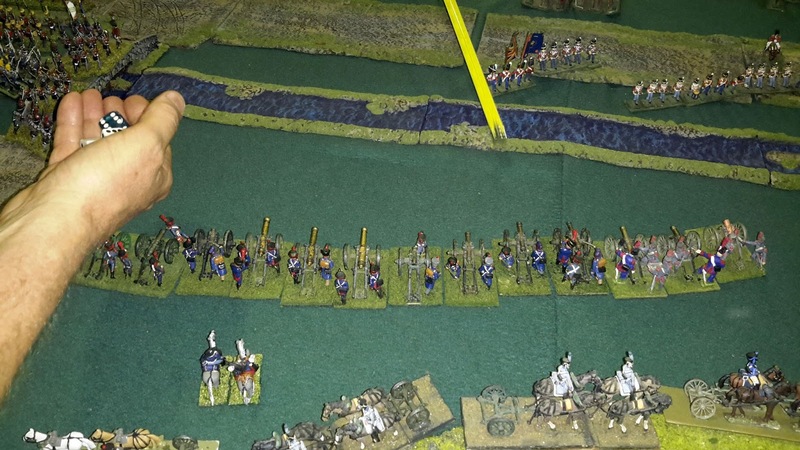 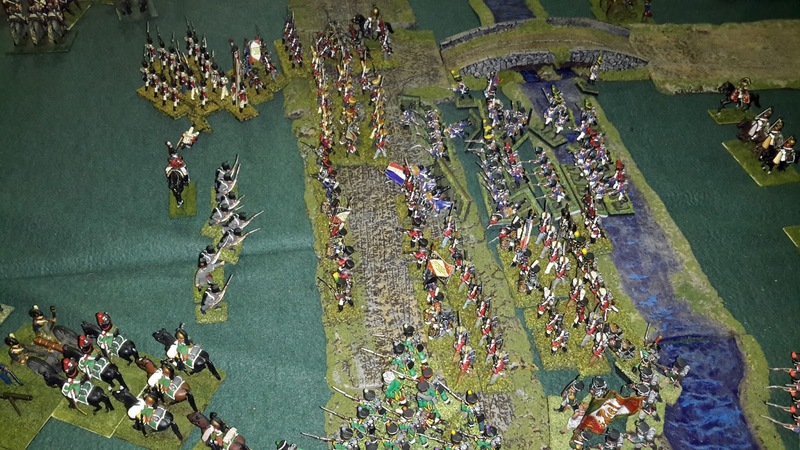 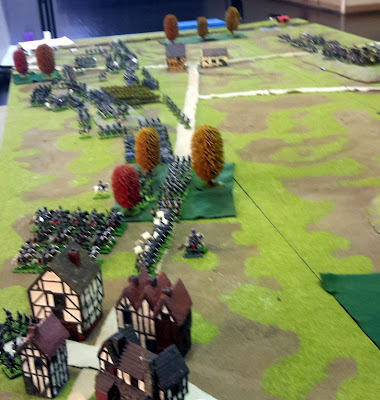 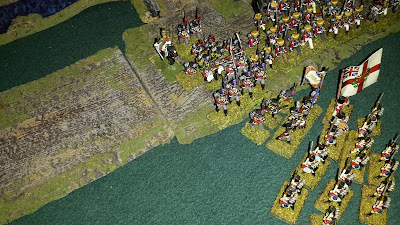 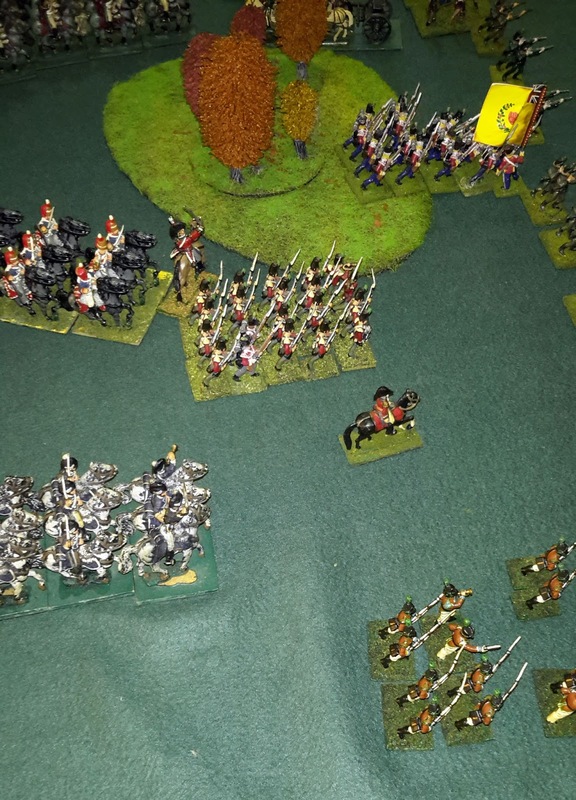 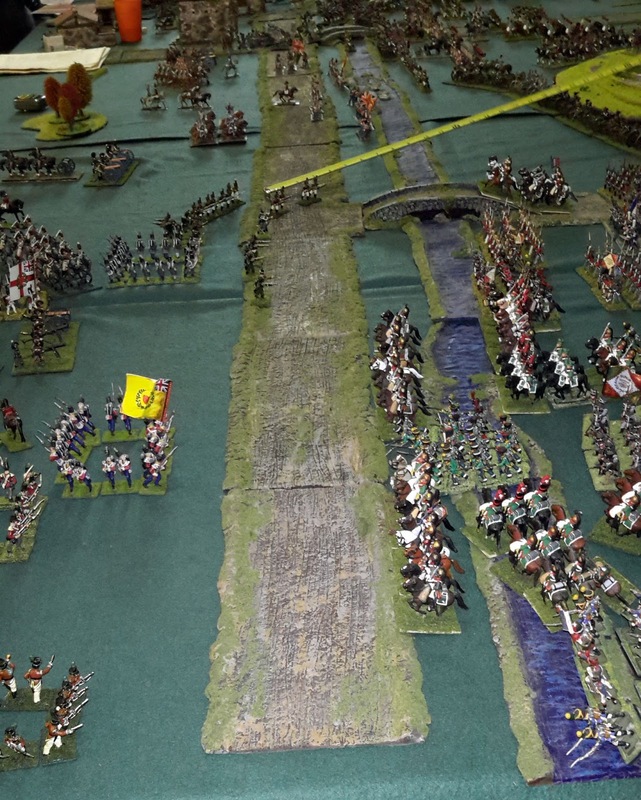 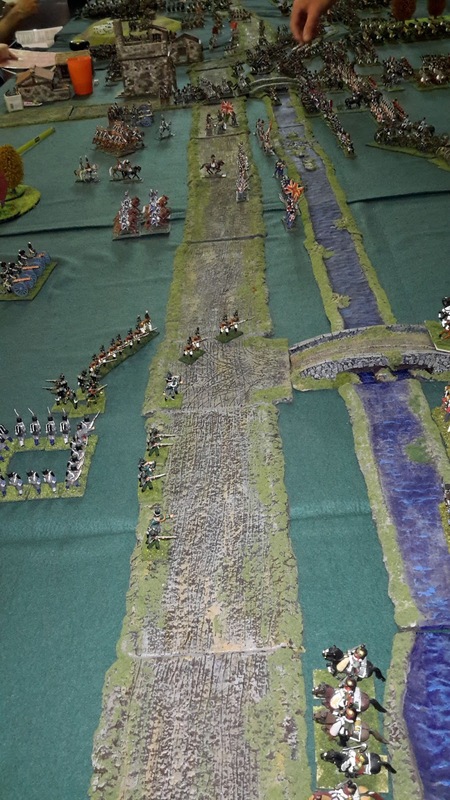 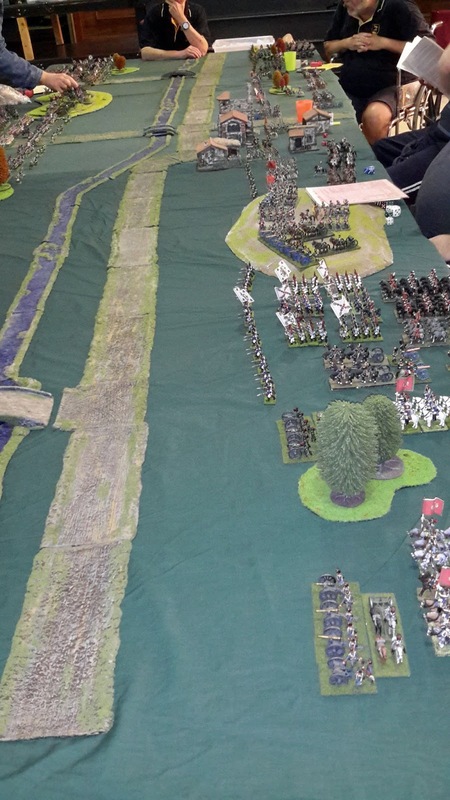 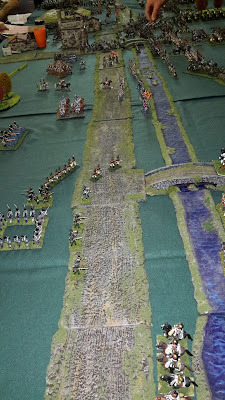 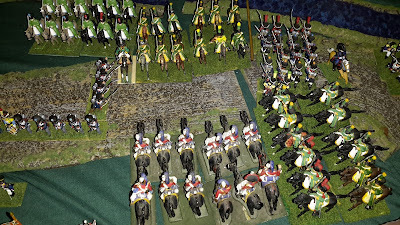 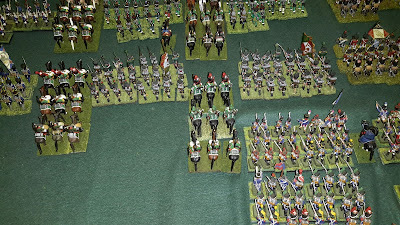 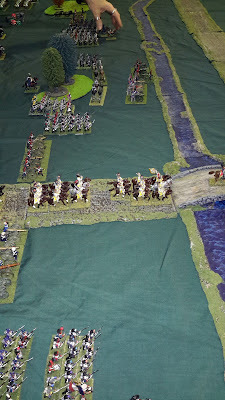 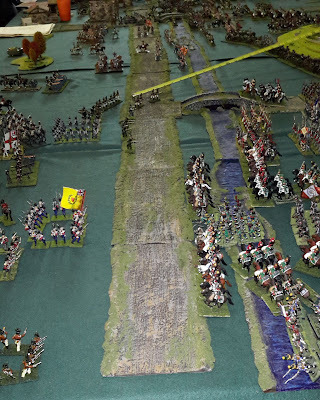 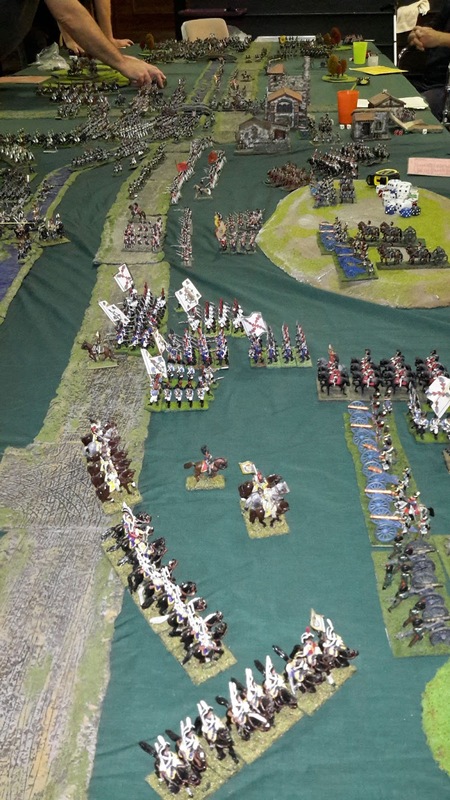 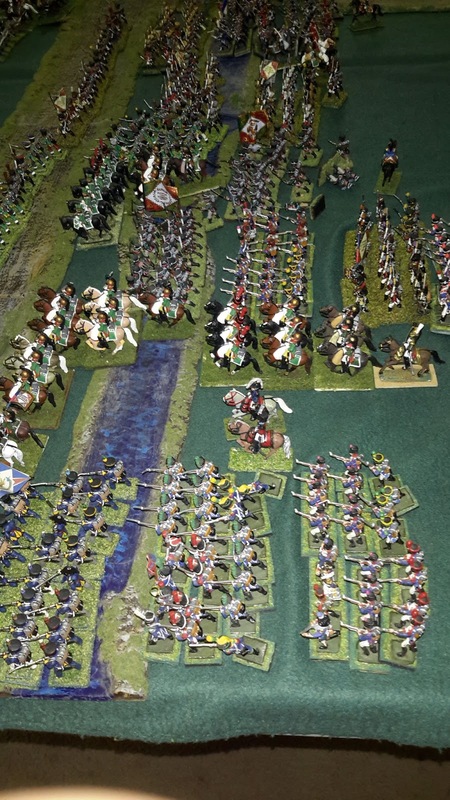 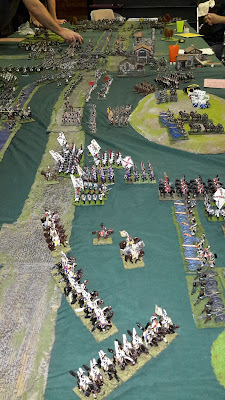 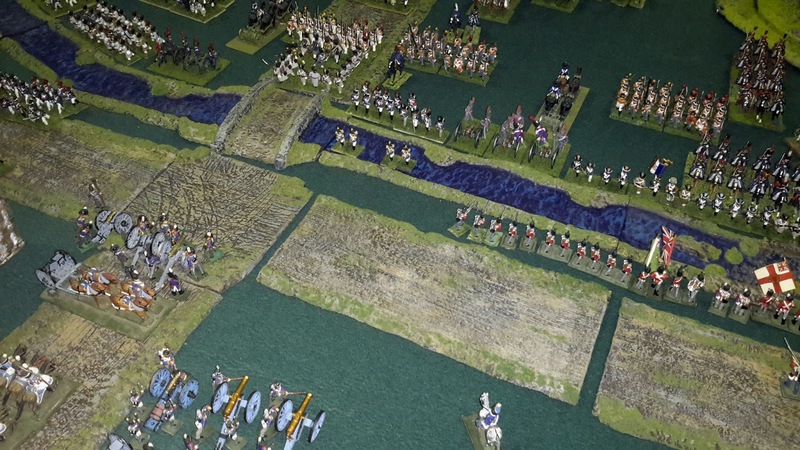 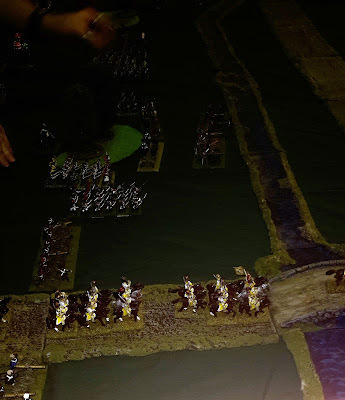 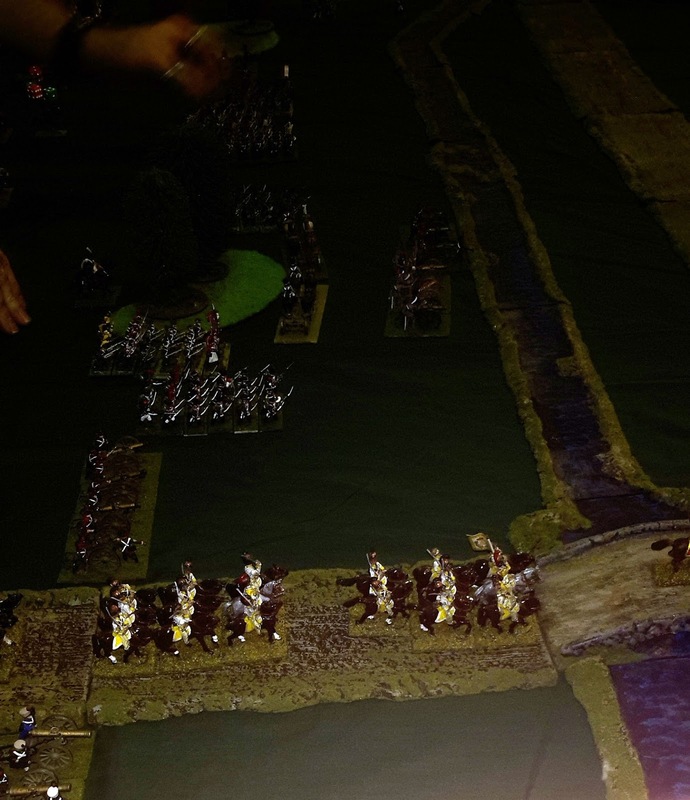 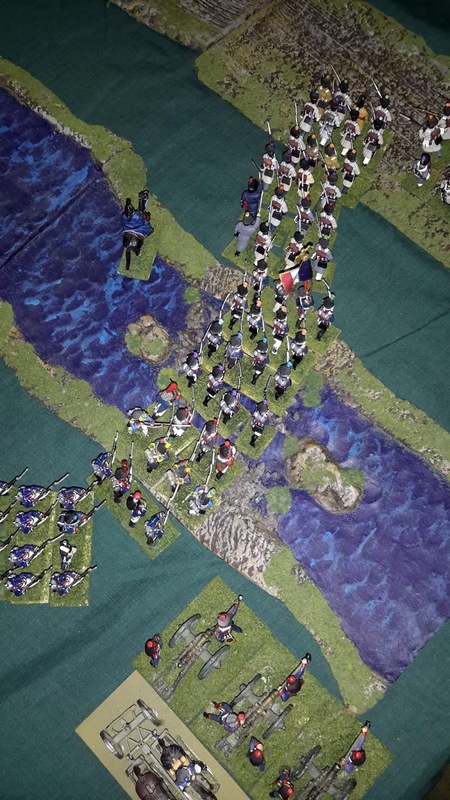 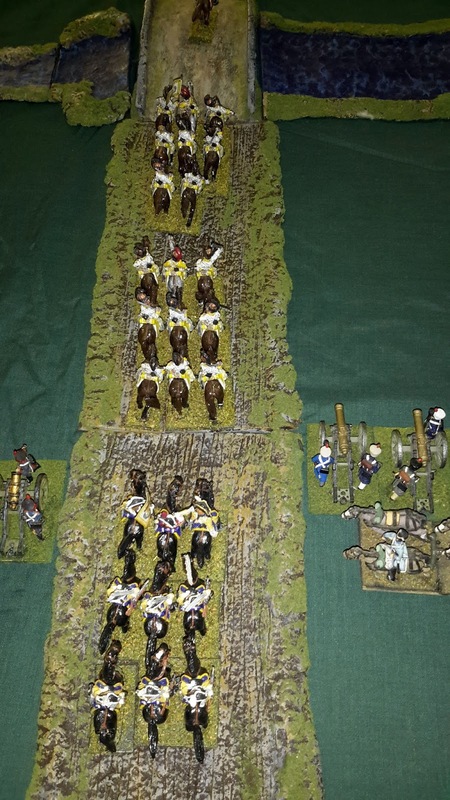 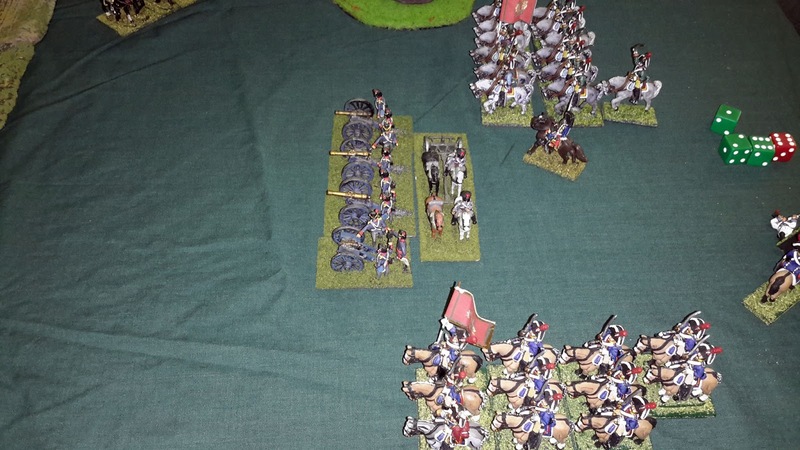 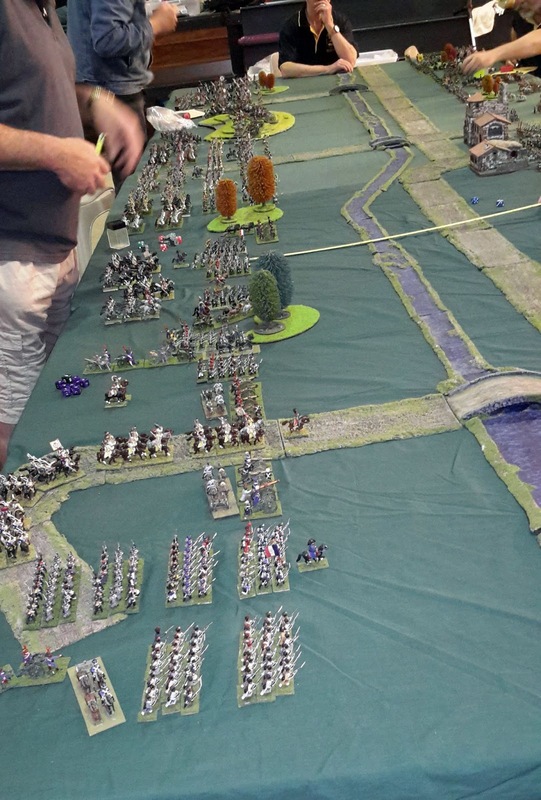 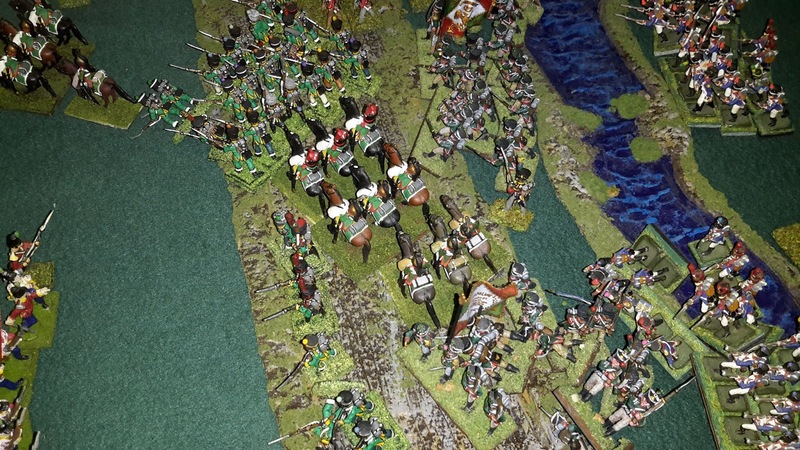 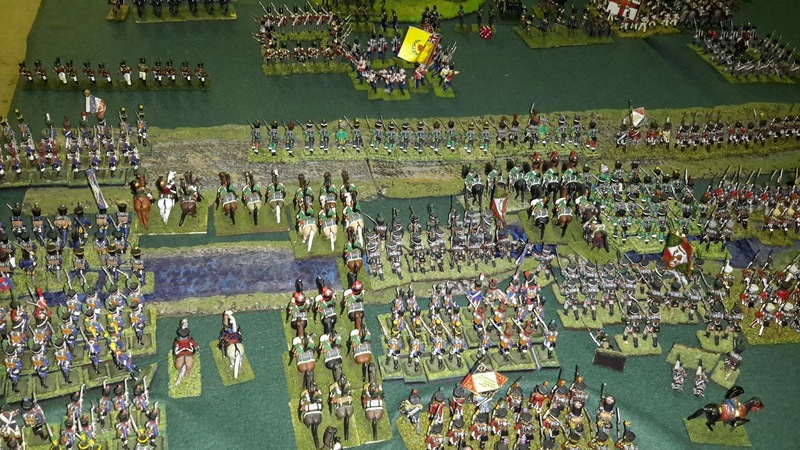 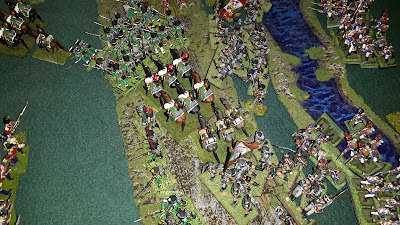 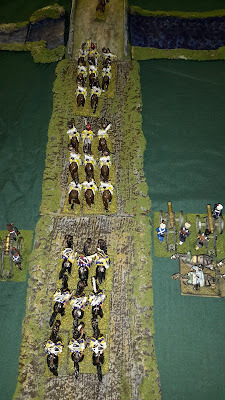 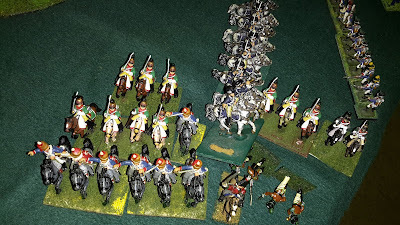 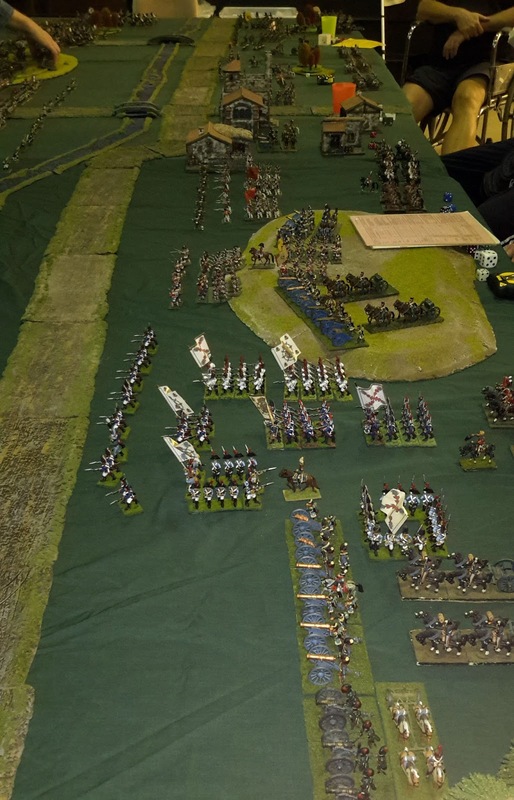 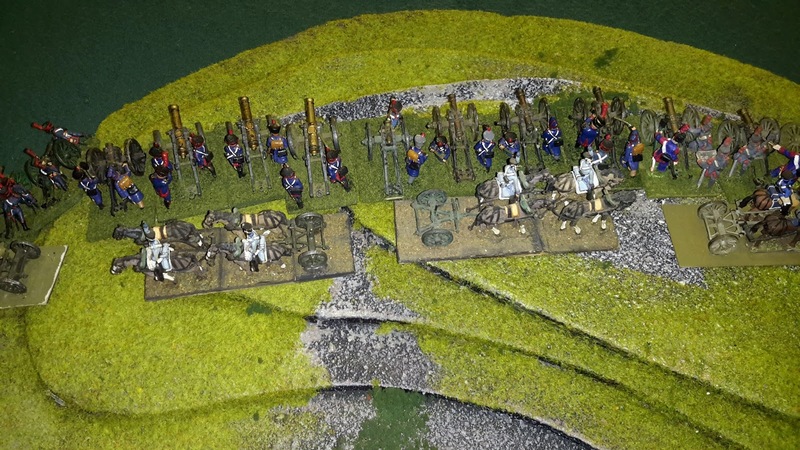 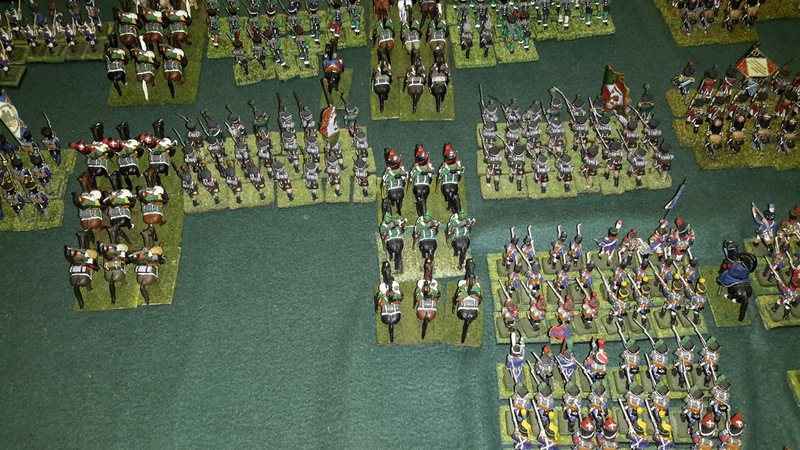 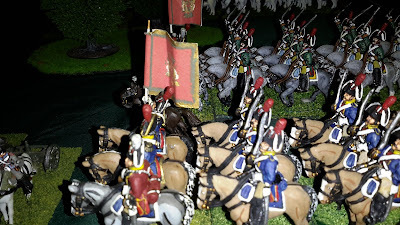 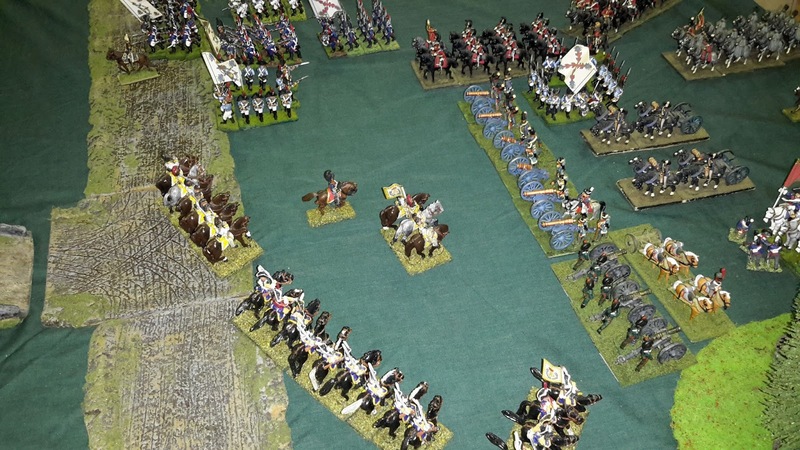 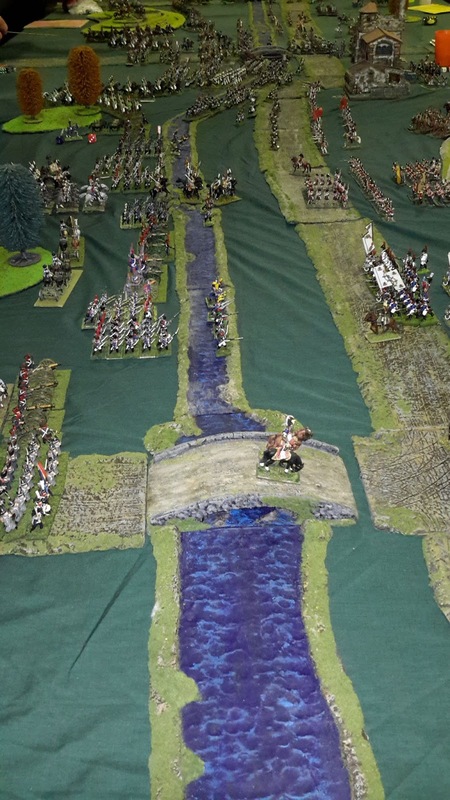 Closer look of my French infantry command (6 x 24 battalions) and the Saxon cavalry on the road. Same again just a little further off. 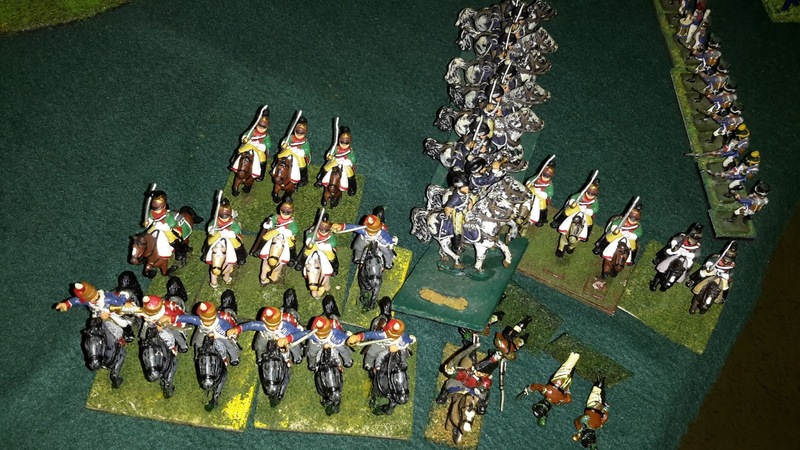 Some of the Spanish heavy cavalry (Front Rank figures I painted for Rob some years ago. 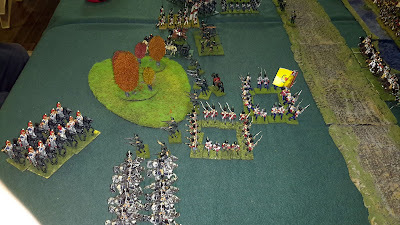 Some of Rob's command. 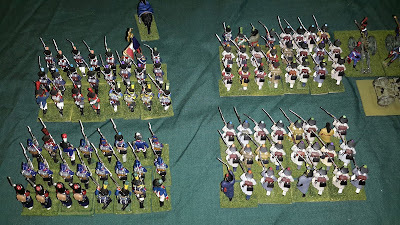 two infantry and one dragoon brigades. 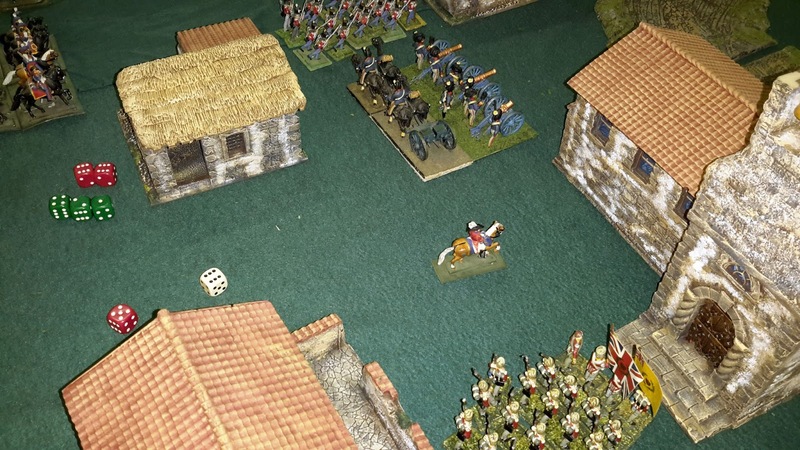 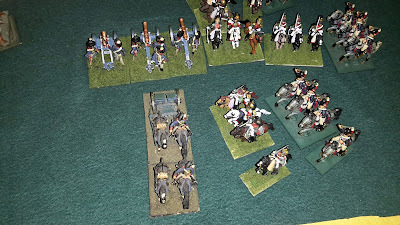 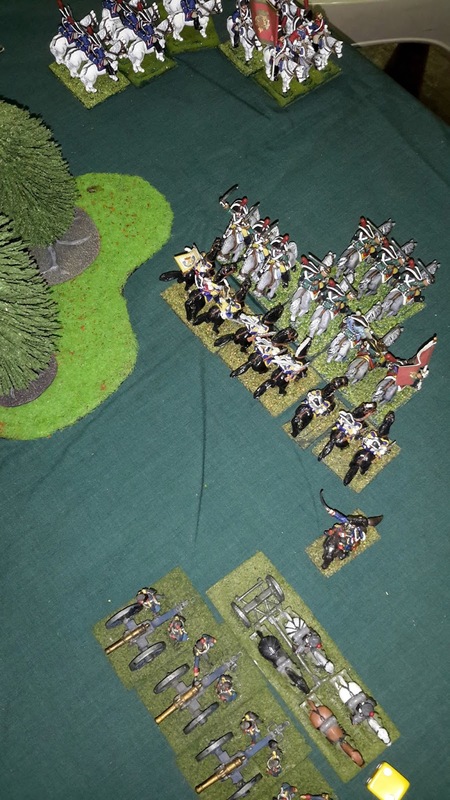 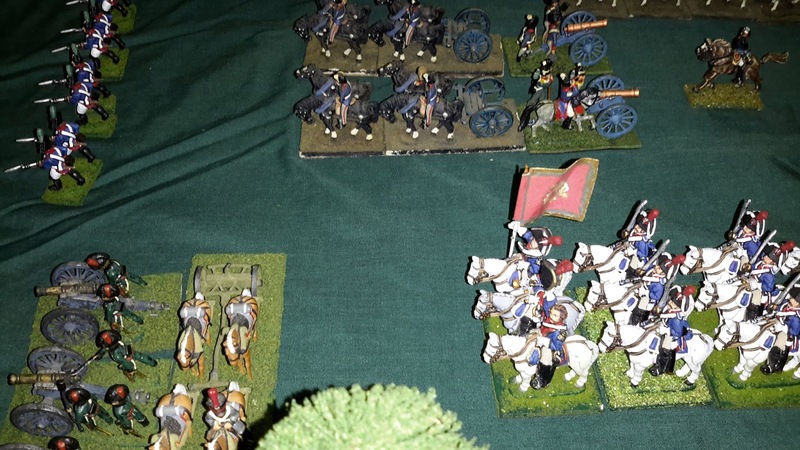 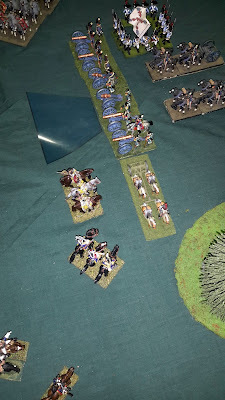 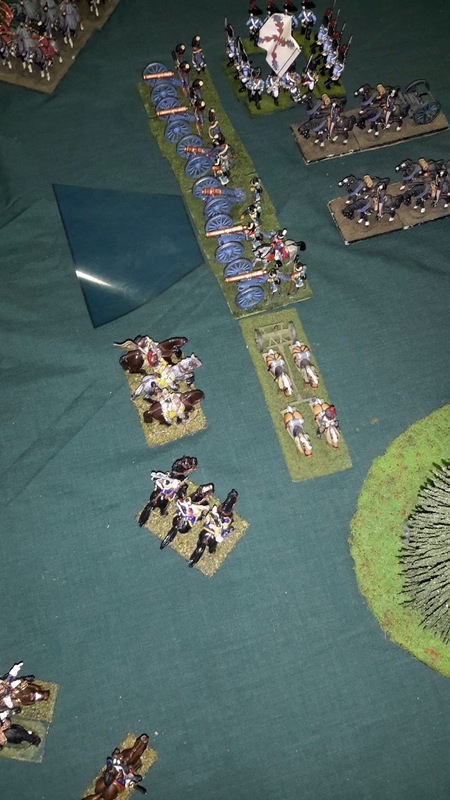 Spanish cavalry took losses from French artillery, some much so that one because a useless shaken unit. Don't think there was a decision in the end but it was a fun day.